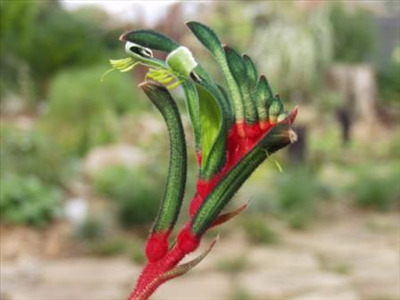 Beautiful smaller growing Kangaroo Paw with grey-green leaves and red and green flowers most of the year. Excellent garden or container speciman plant. Stunning in mass displays. Good cut flower and bird attracting plant. Protect from snails and slugs.